The Orion Family of Substation Automation Platforms perform an expanding array of automation and security applications in electric utility substations, with minimal setup and maintenance. A single Orion can replace multiple legacy boxes in a substation, reducing hardware, design, wiring, and panel costs. Orion is the automation platform of choice for more U.S. utilities than any competing product. 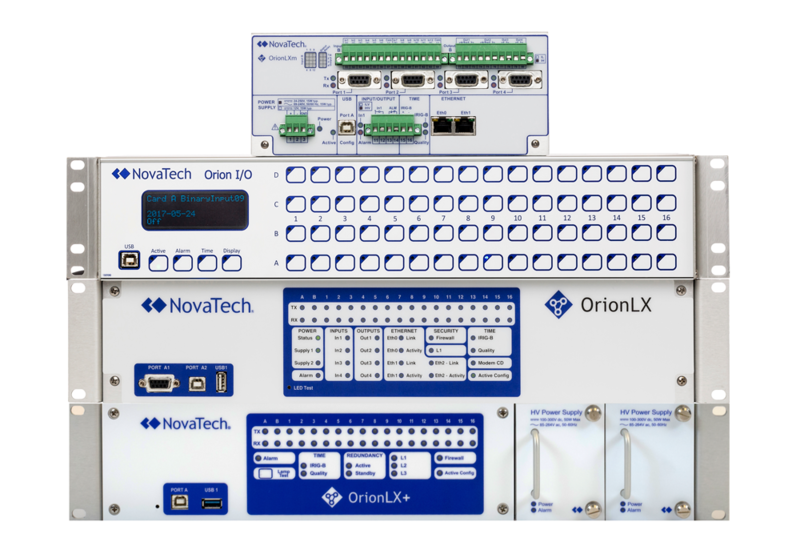 The OrionLX and OrionLXm borrow design features from rugged protective relays, modular PLCs, powerful PCs, diagnostic test sets, and secure routers. The result is a rugged platform that can reliably take on a range of automation tasks. Rugged Meets ANSI C37.90.1 2002 Fast Transient on I/O and power supplies and ANSI C37.90.2 1995 RFI to 35 volts per meter. Direct fiber optic is available on serial communication ports and Ethernet port. Designed to operate over -40°C to 70°C without heaters, fans, or moving parts. Flexible and Modular Both hardware and software are modular. Communication cards can be switched or added, software options and protocols can be added quickly and easily in the field. Toolsets for logic, HMI development, and points mapping provide the flexibility to meet the needs of multiple applications. Standard Tools from the PC Industry Includes a large solid state memory, SQL-compliant relational database, web technology, and standard tools for file transfer, diagnostics, and time management. Utility Specific Includes functions for breaker controls, counters, accumulators, Local/remote, and momentary-change-detect. Includes support for both legacy utility protocols (Modbus, CDC, Conitel, etc.) and new international standards (IEC 61850, IEC 60870, and DNP3). Built-In Diagnostics Includes a built-in protocol analyzer to view all messages, plus extensive diagnostic LEDs, internal health monitoring, and time diagnostics. Commissioning tools include points blocking and forcing functions. Built-In NERC CIP Security Comes equipped with built-in security, including strong passwords, remote authentication, encrypted protocols (OpenVPN, HTTPS, SSH, SFTP), firewall, and syslog. Solutions to meet NERC CIP Version 5 available. Consistent Setup and Configuration All Orion software features and configurations are seamlessly transferable from one generation to the next. 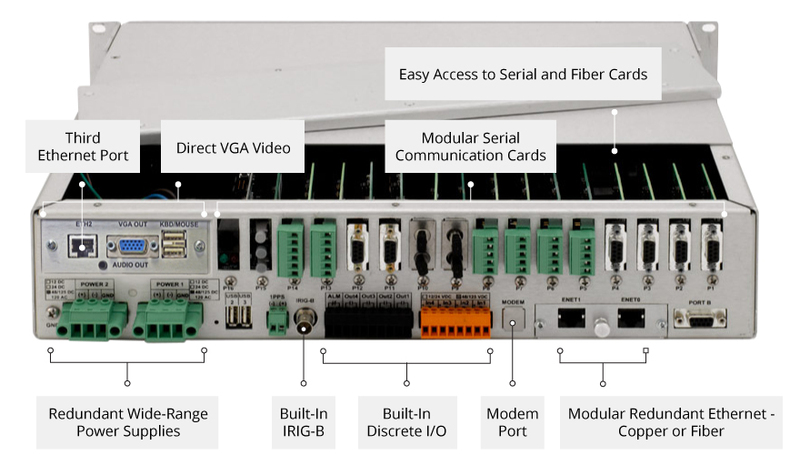 An OrionLX can be configured with wide-range redundant power supplies, a fiber optic Ethernet port, a Multimedia Board with VGA Video Output, and any combination of RS-232, RS-485, and Fiber communication cards. The OrionLXm is a physically smaller OrionLX designed for applications requiring fewer connections and less space, including smaller distribution substations and OEM and pole-top RTU applications. 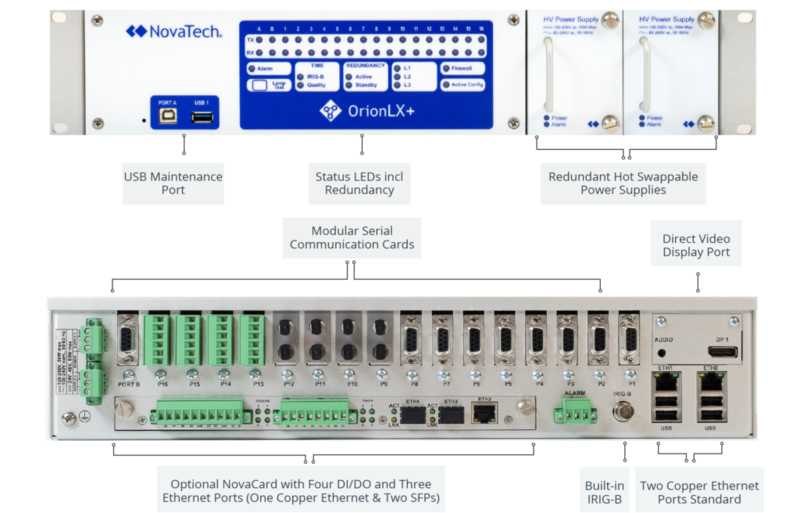 All OrionLXm connections and diagnostic LEDs are on the front face, and universal mounting options include panel, 19” rack, or DIN-rail. 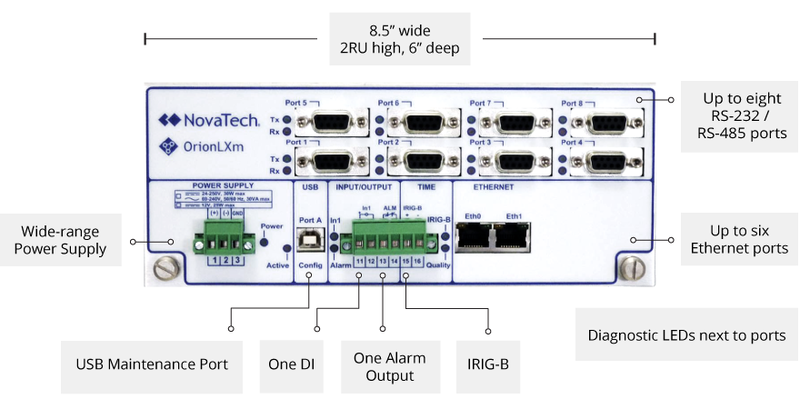 Intuitive PLC-Like Programming IEC 61131-3 is the international standard for programmable logic controller (PLC) programming, specifying the syntax, semantics, and display for five languages. This enables the control program developer to select the language best suited to a particular task. 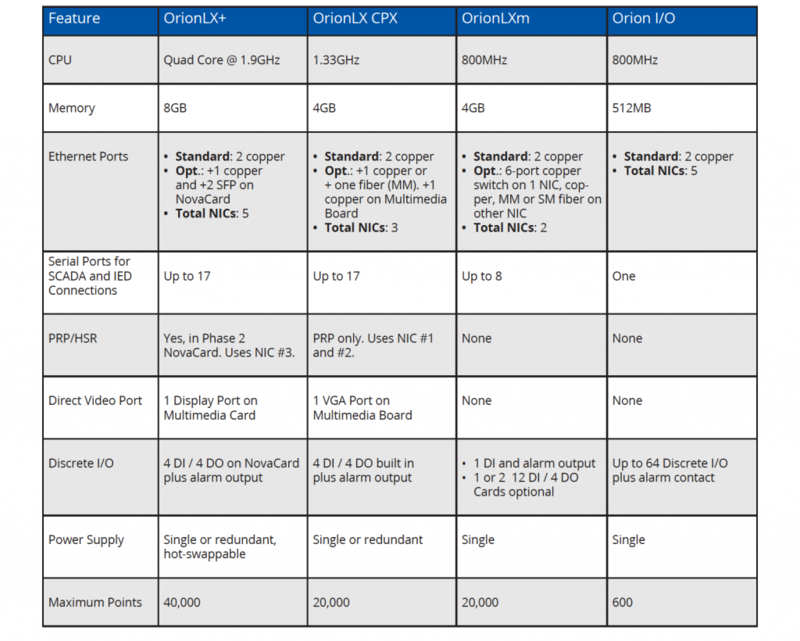 High PerformanceCPU The optional OrionLX High Performance CPU provides two to three times more speed and processing power than the standard OrionLX CPU. It is intended for larger automation applications, notably transmission substation applications with large SCADA databases, extensive math and logic, many webpages, and encryption. Relay Data Retrieval Simpliﬁed NovaTech currently provides over 200 pre-engineered SEL® “point pick lists” (or “Default Files”) to simplify the process of selecting points from SEL relays. OrionLX Relay Helper simplifies the Default File creation process by automating the extraction of SEL relay “ID” and “DNA” from any new relay models. Using these data, Relay Helper automatically creates a new complete and accurate Default File. Secure Web-based SCADA in Your Hands OrionLX WEBserver is a web-based SCADA and local HMI solution that uses open-source web technologies to build interactive screens accessible from standard web browsers. A browser can connect to an OrionLX and view data from connected IEDs and RTUs. Displays can range from a single text-based screen to detailed substation one-line drawings with multiple password protected drill-down screens for viewing IED data or establishing a pass-through connection with the IED. WEBserver has pre-configured pages for Data Archiving/Sequence of Events Recording, Alarm Annunciation, one-line diagrams, IED faceplates, control screens, alarms, trending, and communications diagnostics. VGA Touchscreen Monitor A rugged VGA touchscreen monitor is available for the OrionLX, eliminating the need for a substation PC and its inherent software and Cyber Security hassles. Webpages served from the OrionLX, and applications supported by the OrionLX (terminal mode, screen capture, text editing, etc.) can be viewed on this VGA touchscreen when OrionLX is equipped with the optional Multimedia Board. This monitor works both as a touchscreen monitor and with a keyboard/mouse at the same time. Data Visualization and Dissemination Tools A wide range of modern software tools “bring the data out of the box” with minimal engineering effort. The new Tile Annunciator – up to 24 pages of 60 alarms each – simpliﬁes interpretation of alarms and reduces conﬁguration time. 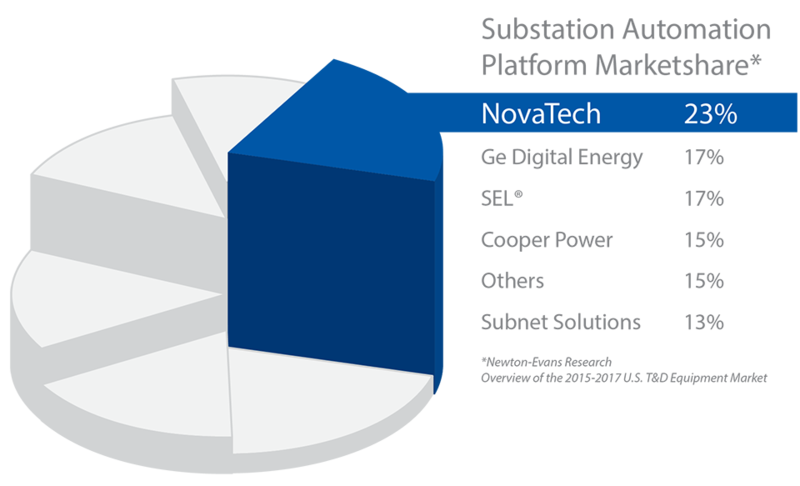 Any substation data point – breaker position, monitored temperature, user access attempt, etc. – can be accessed by Orion and presented to engineers and operators where they want it, when they want it and how they want it. Secure ﬁle transfer, secure webpages, email, and data logging are all supported in Orion. Build an OrionLX/LXm Part Number and Request a Quote.